Living in the affluent West Hills neighborhood of Los Angeles demands a certain level of luxury — you want your home to be as beautiful as the community to which it belongs. Let Overland Remodeling & Builders give you the home of your dreams! All of our projects are overseen by our founder, master contractor Shahar Giladi. So whether it’s remodeling a kitchen, a bathroom or an outdoor patio, you can count on us to provide the highest quality in remodeling services, catered to you and your specific desires. We specialize in both interior and exterior renovation projects throughout the West Hills area, and will be happy to help you with yours! Remodeling can be a daunting prospect, but with Overland it’s more approachable than ever before. Looking at your specific property and its features, we create the perfect design for you, complete with quality materials and personalized service. Give us your vision for your bathroom, kitchen or other space, and we’ll bring it to reality! Backed by a solid history in the West Hills community, we understand what is required to create the perfect personal space. 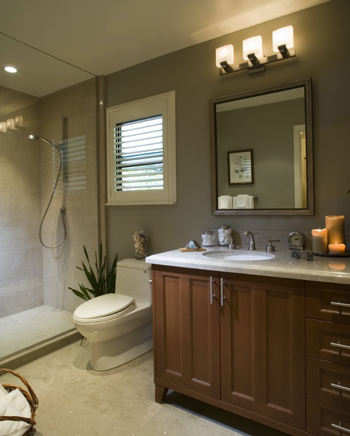 There are few updates that add as much beauty to your home as a new luxury bathroom space. Imagine getting ready in a large, retreat-like space where you have every amenity at your fingertips! Whether you want to change the floors, replace the vanity or give a bathroom a total overhaul, we’re here to make it possible. Prep meals and host dinner parties in a gorgeous gourmet kitchen that not only makes cooking more enjoyable, but also adds incredible value to your home. An updated kitchen is one of those hot updates that any home needs to look its best. Overland Remodeling & Builders can give you the country, modern, Italian, French or other custom-designed kitchen you’ve always dreamed of! Expand your living space with an updated outdoor area like a new patio, deck or sunroom! Make the most of your California surroundings by enjoying them to the fullest. Whether you go with an open patio, an enclosed sunroom or something else, any outdoor space creates a wonderful area to complete your home. Ready to renovate or remodel your West Hills home? Contact us today to learn more!